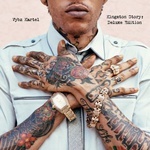 Vybz Kartel's Kingston Story, produced by Mixpak founder Dre Skull, is a rare example of a dancehall LP that is more than a collection of singles. Its tracks act as an overview of the many sides of Kartel -- the lover, the party starter, and the astute social critic. Backed by Dre Skull's booming production, Kingston Story's hits, including the sensual plea "Yuh Love", the dance floor anthem "Go Go Wine," and the ecstatic love song "Half On A Baby", can still be found booming out of cars and sound systems from Kingston to New York City and beyond. Originally released in 2011 and out of print for years, Mixpak has repressed Kingston Story as a high-quality double album.